Shana Liu ('21) practices for her performance with the Des Moines Community Orchestra. Shana Liu (‘21) performed Edvard Greig’s Piano Concerto in A Minor Op.16 with the Des Moines Community Orchestra on Sunday May 13 in Des Moines. Liu won the Bill Riley Talent Search at the Iowa State Fair on the piano in 2016. After that performance, Conductor of the Des Moines Community Orchestra Carl Johnson asked Liu to perform with the orchestra and the two chose the Grieg concerto. The Des Moines Community Orchestra’s Spring concert also included works from Felix Mendelssohn’s “A Midsummer Night’s Dream,” as well as collaborative guest musicians on three other pieces. Over the past six months, Liu practiced and performed this piece in preparation for Sunday. Liu also worked on this piece in her studio lessons with Strauss for the majority of the semester. Liu performed all three movements of the Grieg concerto with the Des Moines Community Orchestra. Edvard Grieg, born in 1843 in Bergen, Norway, composed the Grieg concerto at 25 years old. According to the Redlands Symphony, Grieg’s major influence came from traditional Norwegian folk music and literature, which is apparent in the third movement of the concerto. Although Grieg was not as prolific in his composing as fellow musicians like Debussy or Bernard Shaw, Grieg’s Piano Concerto in A Minor stands out as his “biggest work in terms of power and gesture,” Redlands Symphony said. For Liu, the concerto poses technical challenges in memorization and projection to remain cohesive with the orchestra for the 30-minute piece. 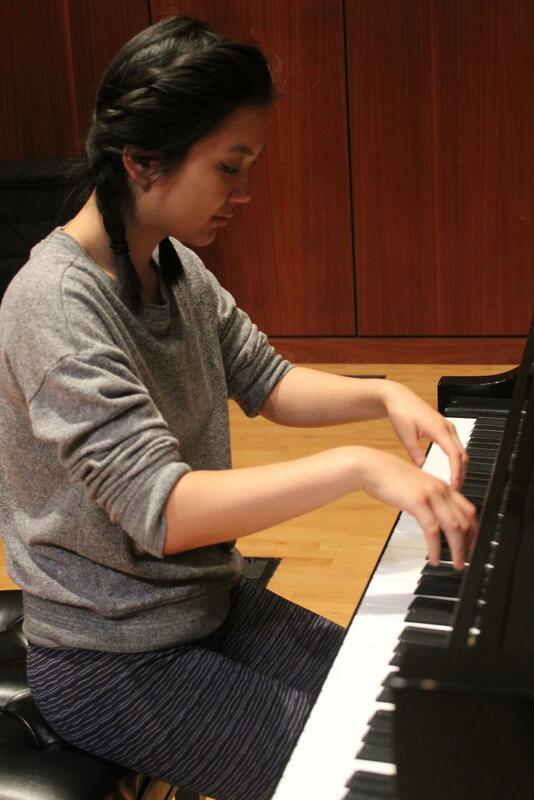 Liu came to Luther after four years as an Iowa Allstate Music Festival member. She had also required piano, viola, and violin accolades. At Luther, Liu is a Neuroscience major and chemistry and music minor on the pre-med track and a member of Luther’s Symphony Orchestra, as both a violist and a pianist. Liu’s primary instrument is piano, and she accompanies both vocalists and instrumental musicians. Liu’s piano instructor, professor John Strauss recognizes the commitment to a liberal arts education that Liu made coming to Luther.